Jesus Wore Shoes - What Did They Look Like? Among the many little clips in my “tickler” file was a report of the discovery of a 2,000-year-old leather shoe found by archaeologists at an ancient quarry in the UK. The shoe, estimated to be about a size 10 in men’s footware, was dug out of a hollowed tree trunk at the site. It was said to be so well preserved that stitch and lace holes are still visible in the leather. The archaeological team was digging in a Bronze Age work site, dating from 1460 to 1290 BC when the discovery was made. If the age estimates are correct, this was a shoe that was manufactured by a leather craftsman at about the time or possibly long before Jesus and his disciples were walking the roads in and around Jerusalem and making their mark in history. 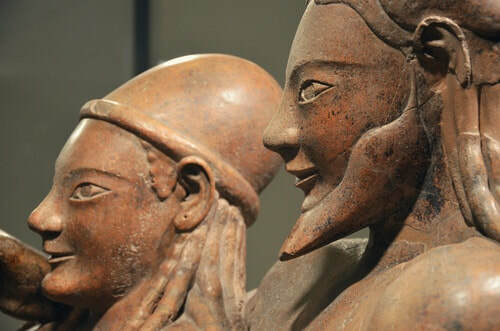 Long before there was a Roman Empire, and before the City of Rome existed, the area that now includes much of Italy was occupied by a highly advanced civilization that archaeologists call the Etruscans or Tyrrherians. These people are believed to have migrated from Asia-Minor, or the Golden Crescent, as early as 1,000 B.C. They built cities and ships, became an agricultural center, developed a system of commerce, developed language and the arts, had an effective military, and ruled the area for almost a thousand years. 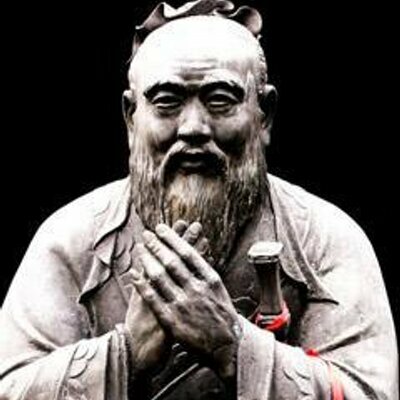 The teachings of Confucius, who lived about 500 years before Christ, have probably had more influence on the world than those of Christianity. It is said that all world religions and all governments are still influenced by the philosophy taught in his school and by his books. Like Jesus, Confucius never claimed personal divinity. Yet a form of a philosophical belief system called Confucianism grew from his work. Also like Jesus, Confucius was said to have been born into poverty, became a teacher of philosophy and principles of living, and had a band of followers, or disciples, that remained by his side. A team of British researchers recently traveled to Dunhuang, China in an attempt to find the answer to a riddle involving an ancient symbol of three hares. The symbol has been found in sacred shrines and temples from Britain, throughout Europe, the Middle East and Far East. The depictions of the three hares joined at the ears and chasing each other are mysteriously found in holy buildings from Buddhist, Islamic and Christian faiths by people separated by 5,000 miles and over 1,000 years. The interdenominational answers they found may surprise you. Imagine what we might do if we could develop a time machine and suddenly get catapulted thousands of years back into the past, without prospects for a return trip. We would probably arrive stripped of all modern vestiges of contemporary life, without tools . . . possibly without the clothes we wore when we stepped into the machine. All we would possess is our intellect and our memory of the world we left behind. We would, in effect, be cavemen and women. But even with our contemporary intellect, could we survive? There is a story about a Chinese archaeologist named Chi Pu Tei who in 1938 discovered a strange alignment of graves in the Baian Kara Ula Mountains, near the Sino-Tibetan border. In the graves were small, frail skeletal remains of beings that had unusually large skulls. Nearby were found cave drawings of these beings wearing helmets. In 1962 researchers found the first of 716 record-like stone disks with tiny markings on them that appeared to be writing. The stones were very hard, made of granite and concentrations of cobalt and other metals. The inscriptions were so tiny it required a magnifying glass to examine them. They told of a lost alien tribe called the Dopa that crash landed on Earth. Ireland is a place of my families’ origins. While I have never walked its sod, there is a strange beaconing call from those distant shores that have haunted me throughout my life. When I was in college I was befriended by a big husky black star of the school’s football team who referred to me as his “black Irish pal” when we tipped beer together. I didn’t realize until much later that his reference to the black Irish went deep into the history of Ireland. It seems that among the very ancient settlers to that haunting place were the TWA, a tribe of black pygmies that migrated north from Africa and made the island nation their home. Fossil Of Sphinx Found In China? There are so many hoaxes floating about on the web that we have been reluctant to write about a report in the Chinese media about the fossilized remains of a creature that resembles the legendary Egyptian Sphinx. Yet this strange story, issued by the Chinese news service Xinhuanet came complete with a photograph. Unlike the famous stone monument that displays a human face on the body of a lion, this creature seems to lack any humanoid features in the head and it doesn’t exactly resemble a cat on his lower haunches. Consequently, it appears that the authors of this story may have stretched the facts when they referred to this creature as a “sphinx.” So what was it? Ever since Orson Wells pulled his radio presentation of "War of the Worlds" on the American public in the late 1930s, people have become familiar with the thought that we are not alone. The controversial 1947 Roswell stories, thousands of UFO sightings, crop circles, stories of personal abductions by humanoid type creatures in flying ships, cattle mutilations and most recently, a report of another UFO crash along the Orinoco River at Puerto Ordaz, Venezuela, have convinced most people around the world that aliens not only exist, but they are visiting Earth. Was Adam An Alien Half-Breed? Everybody knows the Bible story about the origin of the human race. The Hebrew god Jehova, or the many gods of Elohim, created a man named Adam and a woman named Eve and placed them in a garden called Eden. This is an ancient story shared by the Jewish, Muslim and Christian religions. It appears in Genesis, the first book of the Old Testament. The Genesis story, at best, is a twisted version of what really happened. There is a theory based on ancient text including the Epic of Gilgamesh and the Book of Enoch, and rekindled by contemporary writers like Zecharia Sitchin that suggests the human race was placed here by alien visitors. The theory is that some form of genetic engineering was used on Earth primates to create human consciousness. Throughout much of the Northern Hemisphere there were abnormal weather patterns in 1816 that caused crops to fail and an estimated 200,000 people starved to death. Thus 1816 went down in history as “The Year Without A Summer.” It is recorded that the climate aberrations were especially felt in the American Northeast, the Canadian Maritimes and in Northern Europe. In May that year, frost killed off most of the planted crops, then in June, two large snowstorms, one of them dumping 10 inches of snow in Maine, swung the final blow on that season’s farm crops. The cause of this odd weather is believed to have been the eruption of a single volcano in the Indonesian Islands the year before. Mount Tambora, a stratovolcano in the island of Sumbawa, literally exploded on April 10, 1815, becoming the most violent volcanic eruption in several hundred years. It was more powerful than even Krakatoa, which gained much more attention after it blew out an entire island and killed thousands of people for hundreds of miles around in 1883. 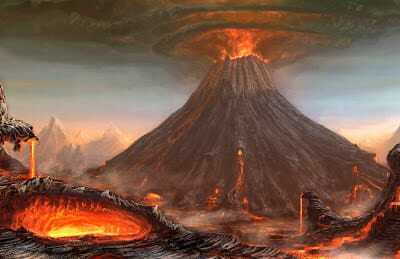 Did a Natural Disaster Spark the Dark Ages? There is a relatively new book by British historian David Keys circulating that suggests the Dark Ages were caused, or at least helped along by a natural disaster of such magnitude that it altered human behavior for the next one thousand years. The Dark Ages is a name for a long period of European history ranging from at about the time of the fall of the Roman Empire in the First Century to the beginning of the Renaissance in the Twelfth Century AD. It is called a dark period because it was a time when the European people lacked stability in government and consequently fell under the rule of the Roman Catholic Church. It is an ancient book once owned by Roger Bacon, a Thirteenth Century philosopher and Emperor Rudolph II in Sixteenth Century Bohemia. It bears the name of Wilfrid Voynich, an rare book dealer who acquired it in Italy in 1912 and launched a quest to decipher the strange symbols within and determine its message. The book later was owned by book dealer Hans P. Kraus, who valued it at $160,000. But Kraus found no market for the book and later donated it to Yale University's rare book collection in 1969. The item, a carefully hand-scribed book containing 234 pages of pictures and beautifully formed but completely unintelligible script, continues to mystify researchers to this day. It has been termed "the world's most mysterious book." Regular readers know that I have been fascinated by the amazing number of anomalies being uncovered from deep in the earth and under the world’s oceans, many of them defying the historical record long cherished by contemporary historians and Bible scholars. The latest discoveries include satellite images that appear to define an ancient city, complete with massive buildings and 200-foot-tall pyramids, on the bottom of the Caribbean Sea. A group of French undersea archaeologists claim the ruins may prove to be older than the pyramids of Egypt. And in northern Brazil, in the Amazon jungle near the Bolivian border, aerial observers are finding emerging ruins of once great cities, complete with giant avenues, ditches and buildings all suggesting that an advanced civilization once existed in areas unexplored by modern man. One of the great mysteries of modern times is the Dresden Codex, one of the few surviving books from the ancient Mayan civilization that existed in Central and South America. This book, decoded by a German scholar in 1880, opened a door to discovery of the brilliant minds of the Mayans. The Codex is filled with numeric equations based upon the movement of the planets, the sun and the stars. The book and other encoded inscriptions on buildings and surviving stone monuments found mostly in the ruins of the Yucatan Peninsula, include a calendar that is so accurate it puts our present system of measuring years to shame. Unfortunately, the Spanish Conquistadors, under the command of Hernan Cortes, conquered the Aztec Empire in 1521. Under the authority of the Roman Catholic Church, Cortes set about destroying what he considered a pagan civilization. Among the earliest recorded writings are found on clay tablets uncovered in the ruins of ancient Mesopotamia, the land now identified as Iraq. These are carbon dated at about 4,500 years BC. This in turn suggests that Sumerian writing was invented between 6,000 and 7,000 years ago. But the Sumerians created an advanced civilization which means there was an unwritten history that had its origins long before these dates. The real origins of the human race have been the subject of intense archaeological research and scientific study for as long as anyone can remember. The best estimates of pre-history suggested that a type of humanoid, known as Homo erectus, existed in Eurasia about 1.8 million years ago. Modern humans, or Homo sapiens, first emerged in Africa between 60 and 70,000 years ago. But a discovery in Antarctica is now shocking even the most adamant historical researchers. There has been a persistent report, based upon a story that allegedly appeared in a 1909 edition of an Arizona newspaper, that an amazing cache of gold and copper items, apparently the kind of stuff found in Egyptian tombs, was found in a cave at the Grand Canyon. One report claims that a research team from the Smithsonian found a cavern "hewn in solid rock by human hands." Exploring this cavern, the researchers found tablets with hieroglyphics, copper weapons, statues of Egyptian deities and even mummies. The Smithsonian, however, says there never was such a discovery and that several expeditions, actually searching for such a cavern, proved fruitless. 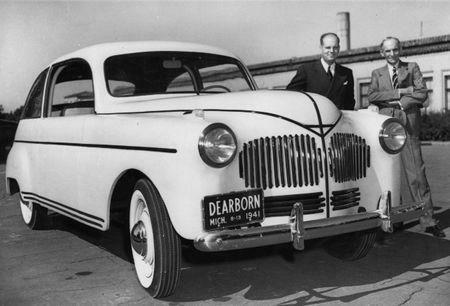 Not many people know that Henry ford once built a car constructed of a plastic made from farm crops. He envisioned auto engines built to run on bio-diesel manufactured from hemp, although the engine made for his first Model T, made in 1908, was designed to burn ethanol. A Popular Mechanics magazine published in 1941 depicted Ford standing among his hemp fields, on his personal estate. The story promoted the vehicle as a car “grown from the soil. The sedan had plastic panels with an impact strength testing 10 times stronger than steel. Halloween is a contemporary version of an ancient Celtic holiday called Samhain, a celebration of the last harvest, the end of summer and for them, the first day of the New Year. The Celts celebrated the beginning of the New Year on November 1 because it was the mid-way point between the Autumn Equinox and the Winter Solstice. The day also had a dark side because it marked the beginning of the long cold winter. It was a time of the year associated with human death. The Celts believed on the night before the New Year, the veil between the worlds of the living and the dead became blurred. Samhain thus was a strange event that occurred on the night of October 31. The people believed it was a time that the spirits of the dead returned to earth. When driving I-70 across Utah you cross the Salt Flats, a massive expanse of flat barren white landscape that stretches as far as the eye can see. Then you pass the Great Salt Lake which also appears to be a dead and decaying sea. You may choose to roll the vehicle windows up even in the heat of the day because of the noxious stench. The lake appears to be something more than a mere "lake." Some have referred to it as a sea because of its massive size. Other than the Great Lakes, at 1,700 square miles it is the largest body of water to be found in North America. While at first glance the Salt Lake appears devoid of life. This is untrue. The water is swarming with tiny brine shrimp. One might think that such a smelly and uninhabitable place would have no human history or legends. But you are very wrong. The stories about the Great Salt Lake and the people who have attempted to deal with it abound. Most appear to be just tall tales but then, who knows the truth? The infamous Bermuda Triangle isn’t the only place in and around the United States where ships and aircraft mysteriously disappear. There is a place in Southern California’s Colorado Desert called the Salton Sea where aircraft have been disappearing for the last century and legend has it that an ancient Spanish galleon, filled with treasure, also has been seen there. American history records that the Revolutionary War for independence from British rule came to an end during the year 1783 and the Treaty of Paris between the United States and Great Britain was signed in September. Also that year, Frenchmen Marquis D’Alandes and M. de Rozier made the first successful flight in a hot-air balloon. They burned straw to heat 60,000 cubic feet of air in the 70-foot-high balloon and it carried them 3,000 feet into the sky. The event was especially notable because they became the first men to fly. That was the good news that year. Little is remembered about the natural horrors being experienced throughout Europe and as far East as Japan that same year. In 1959 when Fidel Castro led a Cuban Revolution that brought about the overthrow of the Fulgencio Batista right-wing government it disrupted major business ties with the United States. Castro declared himself a Communist and developed links with the Soviet Union in the midst of the Cold War. And thus began a series of secret plans by the Central Intelligence Agency to launch military strikes against Castro’s revolutionary forces and drive him out of power. Discoveries of sunken ruins of ancient cities in various locations around the planet give growing support to a world-wide myth that a catastrophic flood once destroyed ancient civilizations. The mythical reports, from the Book of Genesis to Plato's famous story of the lost continent of Atlantis, are part of a broad list of ancient stories that suggest a deluge of Biblical proportions really happened. The alternative possibility is that the planet went through major geological changes with land mass rising and lowering. Michael A. Cremos books, "Forbidden Archaeology" and "Forbidden Archaeology's Impact," published in 1993 and 1998, respectively, have had a quiet impact on pre-programmed folks who dared to read them and consider their message. Cremo believes many museums and departments of archaeology at major Universities have been hiding fossilized artifacts that tend to challenge the accepted views of history. Contemporary thinkers on the other hand, have little problem explaining the bones of giant humanoid figures that have been excavated all over the world. Theories of various alien races that may have visited this planet, or experimented with human DNA, may offer a valid explanation. Some could easily accept the belief that they created a few two-footed, upright monsters that really walked in the mud with the dinosaurs. Early in my career as a news reporter I lived and worked in Benton Harbor, Michigan, where a remnant of the once infamous House of David still existed. The property is but a museum today, and the official story of what happened there has been largely distorted. Yet I know that what went on in that strange cult was one of the strangest stories linked to a religious belief system that has ever occurred. The stories of Atlantis, Mu and Lemuria, great island civilizations that allegedly existed before disappearing under the sea following great cataclysmic events, have been part of the mythology of people all over the world. While these specific places have long been difficult to find and identify, modern sonar and space technology is finding something else . . . evidence of great stone structures that still stand . . . but at the bottom of the seas all over the world. It seems that intelligent civilizations have existed on this planet for a very long time . . . longer than contemporary history books and religious belief systems would have us believe. There is a relatively new book by British historian David Keys circulating that suggests the Dark Ages were caused, or at least helped along by a natural disaster of such magnitude that it altered human behavior for the next thousand years. The Dark Ages is a name for a long period of European history ranging from at about the time of the fall of the Roman Empire in the First Century to the beginning of the Renaissance in the 12th Century AD. 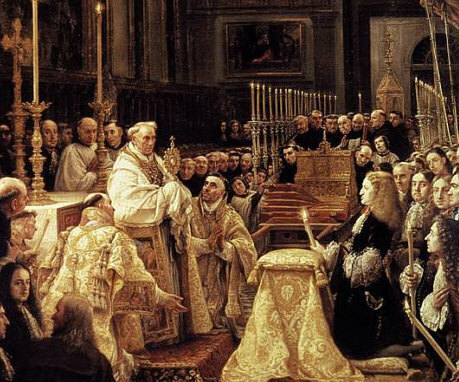 It is called a dark period because it was a time when European people lacked stability in government and consequently fell under the rule of the Roman Catholic Church. No great thought, music, invention or human advancement is known to have sprung from this time. Until Keys raised the question, however, historians seemed to have overlooked the suggestion that there might have been something abnormal about a culture that plunged so completely into barbaric obscurity after existing under the light of the refined cultures introduced by the Greeks and later the Romans. There is very ancient history in the Americas but it has long been buried under the dust covered records passed down by the Europeans, Hebrews and Far Eastern cultures. It has become apparent that humans walked the American landscape possibly as long as they existed on this planet. The difference is that they built their monuments in North America out of dirt and wood instead of stone. Proof of the ancient human history recently turned up at an archaeological dig on Triquet Island on British Columbia’s Central Coast. There a team led by Alisha Gauvreau from Hakai Institute has begun uncovering the remains of a Heiltsuk village where the artifacts are calculated by carbon dating to be 14,000 years old. Among the greatest of historical tragedies was the destruction by the Romans of the great University of Alexandria, Egypt, and the burning of its Great Library, said to contain all of the written knowledge of the known world. This happened in about 400 A.D. Then, about a century ago, archaeologists, sifting through an ancient rubbish dump in central Egypt, came upon a cache of original papyrus documents. The documents were decayed and in terrible condition. But they were carefully stored and only recently the technology has become available to allow researchers to read them. 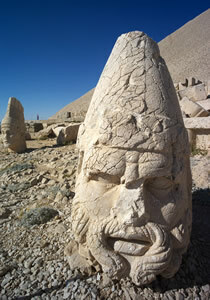 In his book, The Orion Mystery, author Adrian Gilbert suggests that the fabled civilization of Atlantis existed in the third age as told by the aboriginals, and that some of the survivors of that great catastrophe escaped to Egypt and Central America, where somewhat similar cultures thrived and built stone monuments. As I read this material I realized that Gilbert was probably right. If there was a great and thriving civilization on this planet before the flood, the collective memory of that place still exists in all of us. Thus we have shared this story about a lost continent called Atlantis, spent years theorizing about it and looking for it, but never quite understanding it. During that brief period that newspapers knew their hey-day, and again before the invention of radio and moving pictures, stories got transposed from the cracker barrel to the printed page. The stories sometimes confound contemporary historians digging through the microfilmed archives. Consequently, they get retold as factual events. One interesting story that emerged from a newspaper in Aurora, Texas, was the 1897 report of a UFO that flew into the town water tower. The story as it appeared in the Dallas Morning News on April 19, 1897 said: "early risers of Aurora were astonished at the sudden appearance of an airship. It sailed directly over the public square and when it reached the north part of town collided with the tower of Judge Proctor's windmill and went to pieces with a terrific explosion." The excitement that followed turns out to be the real story. Michael A. Cremos books, "Forbidden Archaeology" and "Forbidden Archaeology's Impact," published in 1993 and 1998, respectively, have had a quiet impact on the closed-minded pre-programmed folks who dared to read them and consider their message. Cremo believes many museums and departments of archaeology at major Universities, have been hiding fossilized artifacts that tend to challenge the accepted views of history. Were Ancient Mound Builders Hiding From Something? Ever since the Europeans settled across the North American continent, it has been assumed that the thousands of strange earthen mounds found throughout the Midwest and along the Mississippi River were made for burials. That is because archaeological digs have uncovered human bones in many of the mounds. Also found were crude stone and clay tools, pots and bowls. The mystery has been that only some of the mounds contained human remains. Other mounds, especially the larger ones, were found to be empty. Thus the theory was raised that they were built for some ritualistic purposes. Some anthropologists have even theorized that temples once stood on the tops of them. Have Turkish Archaeologists Found The Original Eden? The megalith, called Gobekli Tepe, is estimated to be about 11,000 years old and may be the world’s oldest known temple. What boggles the minds of archaeologists working at the site is that the massive stones were carved and obviously moved by a prehistoric people who, according to historians, had not yet developed metal tools or learned to make pottery. Some say they may have found Eden. 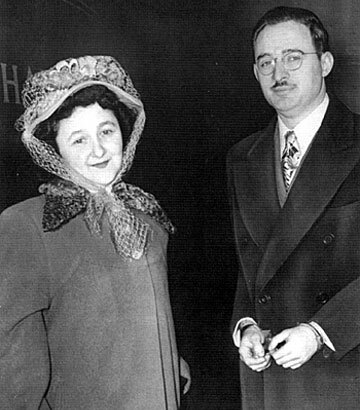 Most people in the United States have little or no knowledge about the historic events surrounding the arrest, trial, conviction of Julius and Ethel Rosenberg. They were charged with selling secrets for the atomic bomb to the Russians. It happened in the early 1950's when I was barely old enough to read media reports about the case, but I was duped like most other Americans into trusting in our leadership to be justified in what it was doing. Long before the concept of paper and the use of quills and ink humans recorded important information of the day on clay tablets that were carefully stored for safe keeping. Thousands of these tablets have been turning up in archaeological excavations all over the world. Among the more interesting of the ancient “lost books” have been the tens of thousands of clay tablets, dating back an estimated 6,000 years, left by the civilization of the Indus Valley. Careful work in translating the messages on these tablets has turned up many of the Genesis stories involving visitations by giants from other worlds, the rule of Enki (EA) the alleged serpent from the Garden of Eden story, and the destruction of humanity by a great flood. Of all the active volcanos in the world, Mount Tambora, on the island of Sumbawa, Indonesia, is perhaps the most troublesome. It has been quiet since his historic eruption of April 10, 1815. But that particular blast was so loud it was heard more than 1,200 miles away, the ash created a volcanic winter across the Northern hemisphere, crops and livestock perished for lack of food, and between 71,000 and 92,000 people were killed. Semiramis was said to have been both the wife and the mother of Nimrod. Nimrod, in turn, was thought to have been the first post-deluge world emperor, recorded in history as the Assyrian King Tukulti-Ninurta I, the founder of Nineveh and ruler of the known world within the Golden Crescent. He declared himself the god Marduk. With two wars to his credit, and over 225,000 deaths from the Philippine-American conflict alone, President McKinley goes down in the record books as one of the world’s deadliest leaders. He did not choose to be a killer but it appears he was driven into doing what he did by the American media, public opinion, and the politics of the day. Perhaps we all have a little blood on our hands over this ugly issue. Careful research by a top Jewish archaeologist from the Tel Aviv University and other prestigious scholars has uncovered the shocking truth behind the Old Testament stories about the origins of the Jewish State of Israel . . . it didn’t happen that way. Evidence is found all over the Earth that humans have existed for many thousands if not millions of years even though the oldest recorded historical record reaches no more than about eight thousand years into the past. The oldest surviving records about the pre-flood era . . . known as the antediluvian period . . .are mostly found in the Book of Genesis, the Epic of Gilgamesh, and the Book of Enoch. His name was Manfred Freiherr von Richthofen and he went down in aviation history as a World War I ace fighter pilot who literally ruled the skies over Europe. Because the Albatros D.III he flew was painted bright red in color he was known as the Red Barron. He also made the distinctive three-winged Fokker Dr.I triplane part of his trademark before his death. By then Richthofen had some 80 kills to his credit marking him as an ace of the aces among fighter pilots of his time. There is a strange story about Richthofen and his unexpected encounter with a possible UFO that came out of the smoke and clouds of that ugly war. ​A newly discovered collection of ancient ground markings, or geoglyphs, has been discovered in Kazakhstan in Central Asia by researchers studying high-resolution imagery by Google Earth. A geoglyph is a large artistic image or design created on the ground by using earthworks, stones, gravel or even trees. The mystery of these images is that they usually go unnoticed by people on the ground and they can only be observed from the air. Until now the Nazca Lines of Peru have remained among the best known geoglyphs. The written human history that exists has been proven through archaeology and mere deduction to be so distorted and religiously and politically twisted that we lack a true understanding of our past. There is strong evidence, for example, that there was an earlier eon that existed even before the great Mesopotamian Empire when women ruled the earth. It was a long period of peace and tranquility, remembered genetically as Eden in the Christian and Hebrew Old Testament, and the Golden Age among other world cultures. The old stories of a deluge of water that covered all of the land on the earth, reports of giant pterosaurs, or winged dinosaurs that flew, the mystery of the frozen remains of extinct creatures like the woolly mammoth in the northern tundra and the discovery that trees once grew on Antarctica have supported a theory that the world once was surrounded by a thick vapor canopy. That is an explanation for enough water to cover the Earth. Every year during hurricane season, historians recall the great hurricane that leveled the City of Galveston on Sept. 8 and 9, 1900. My grandparents, Peter Jerome (P.J.) and Lilly Grace Donahue, lived at that time on a farm not far inland from Galveston. The storm wrecked their house and barns, killed their livestock and almost killed my grandfather. An estimated 6,000 people died in the storm which is still remembered as one of the worst disasters to strike the United States in the nation’s history. Throughout history humanity has committed extreme crimes against itself, often in the name of God, because of racism and sometimes just because of a quest for land. None of the atrocities committed even by Hitler can compare to the terrible crimes committed by the invading Europeans against the millions of natives of both North and South American tribes from about the time Columbus reached the Caribbean Islands until the end of the American-Indian wars in the Nineteenth Century. Of all the many clues to early great civilizations that once existed on this planet Pakistan’s “Mound of the Dead” is of special interest. This giant city, sprawling on the bank of the Indus River in Sindh, offers about 490 acres of grid streets, rectilinear buildings, public baths, large assembly halls, water wells, a waste water system and homes with bathing rooms and flushing toilets. Archaeologists that have been digging at this site since its discovery in about 1920, estimate a population of about 40,000 during the city’s hey-day, which occurred over 4,000 years ago. The North American continent is filled with earthen mounds, some of them very large and some hide secret things of the ancient past. Among them are a cluster of large mounds found along the Macon River in Northeast Louisiana that are known as Poverty Point. 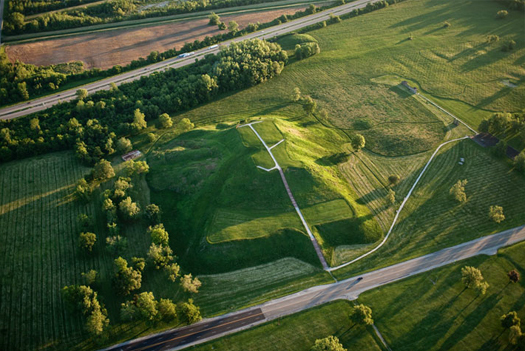 These ancient earthworks cover an estimated 500 acres. The mounds range from about 25 to over 50 feet in height. It is estimated that it would have taken years for workers to carry enough soil to erect such massive earthworks. Because radiocarbon dating appears to show these mounds to be as ancient as the Great Pyramids of Egypt and other great monuments of the world, Poverty Point has been among the few in North America to be selected as a World Heritage Site. 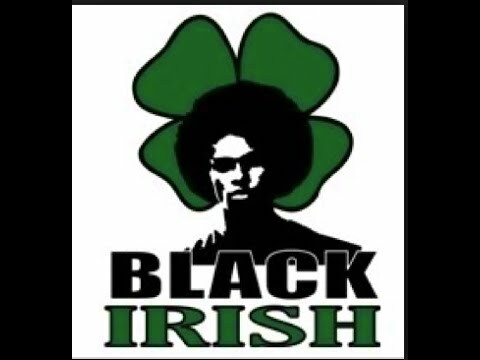 Occasional reference to the black Irish goes deep into the history of Ireland. Among the very ancient settlers to that haunting place were the TWA, a tribe of black pygmies that migrated north from Africa and made the island nation their home. Historical research strongly suggests the TWA may have been the very first humans to live in Northern Ireland and they were there long before the Druids and the influence of the Roman Catholic Church. Some trace their history to over 10,000 years BC. The legendary stories of Atlantis, Mu and Lemuria, great island civilizations that once existed before disappearing under the sea following great cataclysmic events, have been part of the mythology of the aboriginals all over the world. While these specific places seem to be difficult to find and identify, modern sonar and space technology is finding something else . . . evidence of great stone structures that still stand . . . but at the bottom of the seas all over the world. The mystery about Stonehenge and other megaliths like it is how such giant rocks could have been carried and lifted in place by a primitive culture. If Stonehenge baffles the mind, consider the great fortress of Saksaywaman near the Peruvian City of Cusco in South America. It is a giant walled complex of cut rocks, some estimated to weigh as much as 200 tons, and all carefully cut to fit snugly together without mortar. All are also cut in flat or circular shapes to create walls that conform to the overall structure. The stones at Saksaywaman are believed to be the largest used in any natural rock structure in the Americas. By comparison, the stones at Stonehenge weigh about 25 tons. The very ancient civilization of Sumner existed in the area now recognized as the battle-scarred region of Southern Iraq. Before it was demolished by U.S. bombs a great deal of important archaeological work was done to reveal what we presently know about the Sumerians who existed there an estimated 5,000 years ago. It is known that the Sumerians may have been among the first civilizations to develop agriculture, trade with other tribes, created weaving, leather work, metalwork, masonry and pottery. Then around 2,500 BC they created writing. Alulim was the first recorded king. It was while working as a bureau reporter in South Haven, Michigan, that I discovered an old atlas containing the work of surveyor W. B. Hinsdale. Within the book were maps and documentation concerning manufactured earth works throughout southern Michigan and northern Ohio. I also uncovered a paper published in 1878 by another early Michigan surveyor and geologist, Bela Hubbard, that also described the various earthworks that included mounts, fortresses and garden beds that were so large they sometimes covered thousands of acres. Is Kongpo Creation Myth A Recollection Of Genetic Tinkering? We once noted an interesting observation by Columnist Bret Barquest that a series of mind-shattering events occurred within weeks of one-another during the summer of 1947, just after the end of World War II. Barquest listed: The discovery of the Nag Hammadi Codices and the Dead Sea Scrolls, the Jews in Europe and Russia began an exodus to Palestine to establish the new state of Israel, the U.S. was emerging from the war as a great world nuclear power, and an alien craft reportedly crashed at Roswell, New Mexico. The Quetzalcoatl story hangs somewhat like an urban legend throughout American esoteric circles. 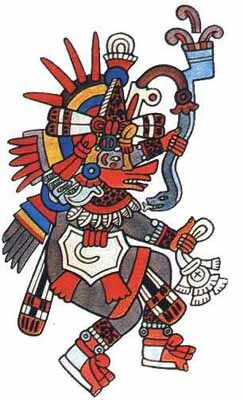 Most people believe Quetzalcoatl was a white god figure who came mysteriously among the Aztecs, gave them direction for living, and then left them with a promise to someday return. The belief among the Aztecs that their white god would someday return is told as the reason why the Aztecs submitted without a fight to a small band of Spanish conquerors, led by Hernando Cortez, in 1518. Giant Everything On Ancient Earth? This strange quote from the Book of Genesis has captured the attention of theologians, scientists, anthropologists and sociologists, all puzzling over the implication of the story. What we know is that the dinosaurs were giant vertebrates. It seems fitting that if humans existed among them, they also were large. So if the animals and the humanoids were giants, was everything on Earth part of a super sized kaleidoscope of plants and animals all sharing the planet? Many fossil discoveries help support such a world. 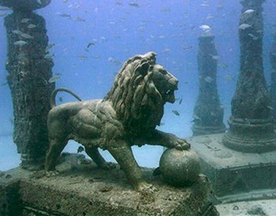 Lost City Of Dwarka Found? Legend has existed in India for centuries that there once existed seven holy cities along the shores of the Bay of Bengal, off the coast of what is now Mahabalipuram, India. These great cities, part of a great civilization that existed long before the ancient Harappan Civilization existed, were said to have been destroyed in a great war and the ruins later buried in flood waters. Dating back some 32,000 years, if the ruins of Dwarka were truly found, it will be the oldest recording of advanced human habitation ever found on Earth. Archaeologists and historians have long been perplexed over the great stone monuments left in ancient ruins all over the Earth. 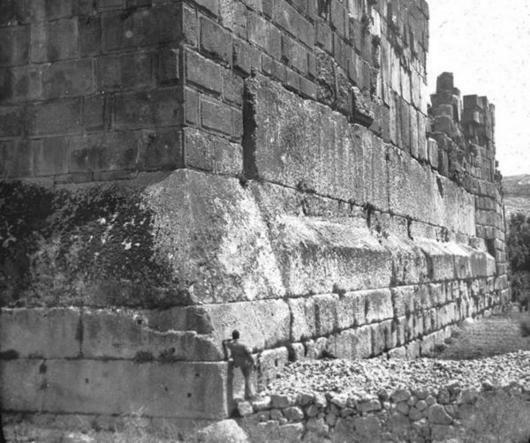 Modern builders with even their finest tools still cannot cut, move and fit stones as large as 10 tons and put them together with the amazing precision found in great temple ruins. That includes the Great Pyramid at Giza, the various pyramids found in South America and the three massive cut stones comprising the Baalbeck Trilithon in Lebanon, said to be the largest cut stone blocks found anywhere in the world. Their weight is estimated from 750 to over 1,000 tons. Anthropologist Sasha Alex Lessin, has published an interpretation of the historical record allegedly left by Lord Enki in the ruins of Mesopotamia that may give answers. Were the Mongolians the First To Settle America? Their life styles are amazingly similar. Even though living separated for hundreds, if not thousands of years, at opposite ends of the planet, both tribes raise sheep, weave rugs with similar colorful patterns made from natural dyes, live in wooden octagon buildings with peaked roofs, and speak a similar language. Many of the words they used sound alike. Their ancient native customs, passed down for centuries, also were similar. They look so much alike it is difficult sometimes to tell them apart. They make their home at and around places known as "The Four Corners" at opposite sides of the world. Are Irish Roots Older Than Sumeria? 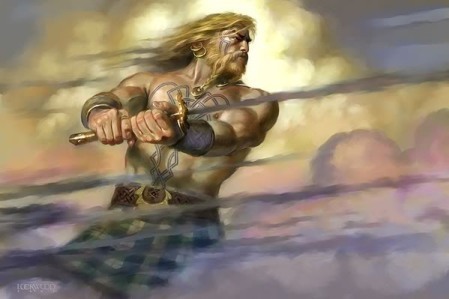 They were the Tuatha De’ Danaan, an ancient supernatural race in Irish mythology that were described as tall, fair skinned with green eyes and blonde or red hair. They ruled over Ireland at least 4,000 years ago and there is some thought that they appeared either before or at about the same time as the great Sumerian Nation appeared. Malta, an island archipelago located in the Mediterranean Sea just off the Italian island of Sicily, is best known for its many ruins of temples, believed to be among the oldest standing stone structures in the world. More than 50 temples are found on the three islands of Malta, some of them believed to have been erected an estimated 7,000 to 8,000 years ago. All are constructed in a basic design with a central walkway, some small chambers on the sides and an altar at the end. Among the thousands of clay tablets found among the ruins of ancient Mesopotamia are 14 tablets that record the history and activities of the beings that allegedly came from the planet Niberu, and how they interacted with humanity and possibly established an advanced life style that is still influencing the way we think and live. These specific tablets were identified as the recordings of Lord Enki, considered a god in Sumerian mythology. A researcher identified as John Deahl published a detailed study of all 14 tablets which opened a strange historical account of the Anunnaki that can be found on the website in5d. Anthropologist Sasha Alex Lessin’s fascinating exploration through 6,000-year-old text found in Sumerian clay tablets turned up information about our solar system that modern astronomers and NASA have only recently proven to be correct. With this in mind we will follow him through a brief study of what the ancients recorded about the origins of man. The data found on the tablets strongly supports theories by many contemporary writers that our ancestors were earth humanoids that were genetically altered to become Homo sapiens an estimated 200,000 years ago. Did the Vikings Sail The Great Lakes? The confirmation in the 1960's that some mounds found near a fishing village in Newfoundland, Canada were the ruins of a failed Norse settlement dating back to about the Tenth Century changed North American history books forever. The discovery confirmed that the Vikings discovered the New World an estimated 500 years before Columbus. The alleged discovery of viking artifacts in Michigan make some wonder if they didn't explore farther. The Anunnaki myth is ancient, dating some 6,000 years to Sumerian writings on clay tablets. But it persists thanks to contemporary authors like the late Zecharia Sitchen and Barbara Hand Clow. The modern stories appear linked to a time in the 1840s when astronomers John Adams and Urbain Le Vernier published papers theorizing that certain gravitational actions within the solar system pointed to the possible existence of an unknown planet. Sitchen called it the Twelfth Planet in his book by that name. 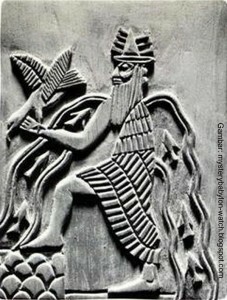 Sitchen not only supports the concept of a mystery planet that circles our sun every 3,600 years, he uses the Sumerian name Nibiru and claims it is inhabited by an advanced race of beings called the Anunnaki. Were Humans Created To Be Slaves? There exists ancient Babylonian text, inscribed on clay tablets, that speaks of visitors from a planet called Nibiru who came to Earth, dug ditches that became great rivers, and spent thousands of years digging for gold. 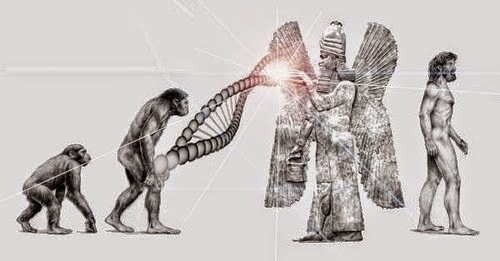 The document, known as the Arrahasis, also tells of a decision by the Nibiru to magically change a breed of Earth primates into an intelligent species to work as slave labor in the mines. The story strongly suggests that genetic engineering was involved, which explains the sudden appearance of Homo sapiens on the planet. Some researchers in ancient anthropology say they have found evidence in Sumarian clay tablets, artwork and passed-down mythology that visitors from other worlds were on Earth an estimated 6,000 years ago. The theories are not only supported by the stories carved on the clay tablets and images in the art, but by the knowledge the Sumerians had concerning our Solar System and the universe surrounding it. They lacked telescopes that allowed them to see and identify the planets and moons around them, yet they had this amazing knowledge. From the historical record, the leaders of the Roman Empire were heavily involved in gnostic religious cultism. There was no separation of “church” and state so Roman emperors considered themselves to also be the high priest of the Mother Goddess Cybele. It was standard practice for the kings and emperors of nations throughout Europe and the Middle East to be in control of whatever religion was accepted among the people. The cult of Cybele was an ancient faith that was deeply embedded in the Roman Empire at the time of Christ and for many years afterward. It continues to influence many of the practices used by the church to this day. 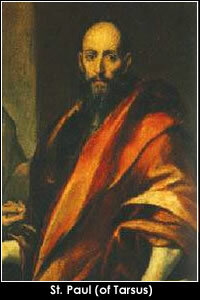 There is a terrible story linked to Paul of Tarsus that needs to be revealed. 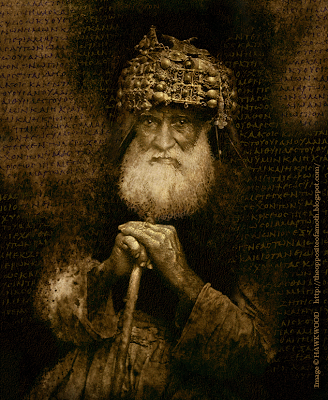 The controversial website One-Evil.com portrays Paul as a murderer, a false messiah and a Pharisee committed to establishing a cult designed to destroy the teachings of Jesus. This is an Easter story unlike anything you may have heard before. It may also be closer to what really happened at the time Jesus was murdered, and why things happened the way they did. When founded in 1534 by Saint Ignatius of Loyola, the Society of Jesus was created with the best of intentions. 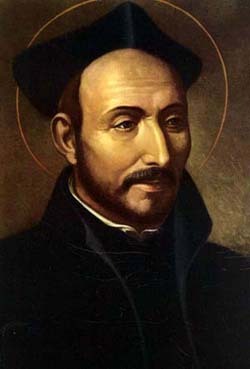 Ignatius was so devoted to the Roman Catholic Church and the Pope he perceived an order of military monks whose purpose was to guard and protect the Vatican and to serve as missionaries of the faith. Among the men to succeed Ignatius was the infamous Cardinal Francis Borja, grandson of Pope Alexander VI. It was during Borja's rule, from 1565 to 1572, that the directive of the Jesuit Order changed from that of service to the Pope to a military-styled organization of men with the tools in their hands to secretly gain influence and political power over the world. And it was all to be done quietly in the name of Jesus. The very ancient civilization of Sumner existed in the area now recognized as the battle-scarred region of Southern Iraq. Before it was demolished by U.S. bombs a great deal of important archaeological work was done to reveal what we presently know about the Sumerians who existed there an estimated 5,000 years ago. Thousands of clay tablets have been found there that contain early writings. One of them, known as the King's List, records Alulim as the first of the known kings. 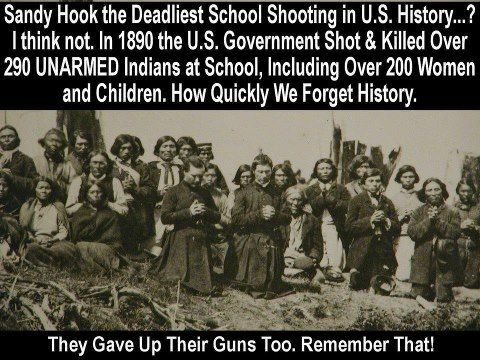 Do We Really Know What Happened In The Past? The controversy going on in Texas involving the twisted adulterating of school textbooks by extreme right-wing conservative and Christian thinking members of the State Board of Education is a shining example of the distortion of world history. School and college textbooks, many of which are published in Texas, are laced with the political propaganda generated by the boards of directors that control the information that goes into the books used to instruct our children. Strangely the annual North American observation of Groundhog Day, always observed at the town of Punxsutawney, Pennsylvania on February 2, has roots in paganism and the Roman Catholic Church. The church throughout Europe observed Candlemas on this same date. On this day candles for sacred uses were blessed and lighted to commemorate the Purification of the Virgin Mary. So how did a sacred ritual like that get connected to a woodchuck sticking its head out of a snow bank and being a prognosticator of the arrival of spring? We have the story. Did Stalin Personally Know Hitler? They were contemporaries who became two of the most powerful and destructive dictators in the world. They may have even rubbed shoulders during a period when both Stalin and Hitler were living and studying in Vienna. But other than an exchange of letters involving the Ribbentrop-Molotov Pact in 1939, there is no evidence that they ever met one another face-to-face or spoke to each other on the telephone. Most Americans believe that the Soviet Union was an ally in the war against Nazi Germany in the 1940’s; and that was true at the end of the war. What few people know, was that Russia and Germany both were operating as allies under a signed pact when the war started. The two armies attacked Poland from the East and the West and both forces established death camps for the Jews and other minorities when it all began. Discovered by the late German Archaeologist Klaus Schmidt in 1994, the massive carved stones of Gobekli Tepe in southeastern Turkey have only begun to be uncovered and examined by researchers. But already the site is considered among the more important historical discoveries of our time because it predates advances in human civilization by thousands of years. While digging through historical records to determine the feasibility of the legend that Hitler escaped to Argentina after the war, we came upon an interesting link between Joseph Stalin and the Roman Catholic Church. 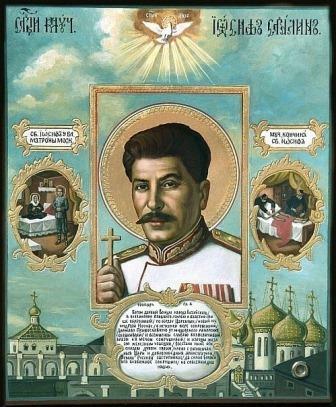 It seems that Stalin was not only a Catholic, but he was an ordained Jesuit priest before he became a ruthless Communist dictator and mass killer of an untold thousands. Some believe Stalin was responsible for more death and destruction than Hitler yet the Catholic Church never chose to excommunicate him. Not that it matters much to us today, but there has been a nagging report that Adolf Hitler and his bride, Eva Braun, did not die in that Berlin bunker at the end of World War II. It is said they were secretly whisked out of Germany, put aboard a submarine and set ashore in Argentina where they lived out their lives under a false identity. It has been known for about half a century that massive stone buildings were spotted by sonar equipment in Atlantic waters off the Cuban coast. Linda Moulton Howe on her website Earthfiles, reported in 2001 that the sonar readings indicated a large area of images of buildings, roads and even pyramids. 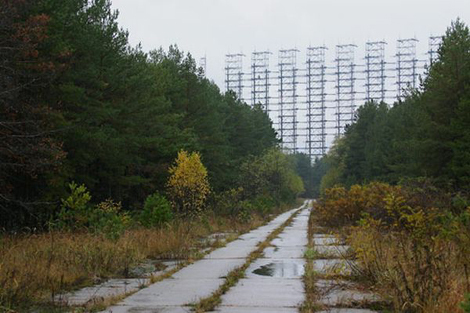 The first sonar readings in the area were allegedly made sometime in the 1960's, but investigation was halted because it happened during the Cuban missile crisis. Now a story in Ancient Origins reveals that researchers Paul Weinzweig and Pauline Zalitzki, a marine engineer, and her husband, Paul Weinzweig, of Canada, have confirmed the ruins of a giant city off the far Western tip of the Guanahacabibes Peninsula, Cuba. 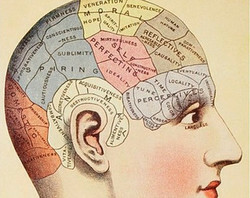 Phrenology – Understanding The Human Brain In 1800. I recall a college sociology class where we examined early attempts to determine criminal behavior by looking at the shape of the human head. We laughed at the thought that men of learning in the Nineteenth Century might dream up such an idea. Viennese physician Franz Joseph Gall, who lived from 1758 to 1828, carried this concept one step farther by creating the science of Phrenology. He called it the true science of the mind. It was a peculiar mapping of the human head that determined personality by the shape of the skull. Among the recent underwater discoveries is a massive carved stone structure off Yonaguni Island in Southern Japan that has been dubbed the Yonaguni Monument. Since its discovery in 1985 by Kihachiro Aratake, a local dive tour specialist, researchers have been studying the massive rock formation plus ten other nearby structures that imply an ancient city stood there an estimated 10,000 years in the past. The Yonaguni Monument itself appears to have been carefully carved by human hands from a solid piece of sandstone. While it resembles a “type” of ziggurat, the structure is instead a 490 by 130-foot rectangle that rises 90 feet from the sea floor. The top of the monument is only about 16 feet under the sea but divers must drop to the bottom to view all of the ruins. The structure has various squared levels, plus stair steps carefully cut in the stone. At the top is a carved object that resembles a turtle. While researching the discovery of a possible man-made ring of giant stones deep in Lake Michigan off Traverse City, Michigan, we discovered a reference to a long list of other ancient megalithic structures like Stonehenge standing in place all over the world. It is said that about 1,000 other stone circles are known in the British Isles, plus some in Europe, Egypt, Israel and now at least two at and under the Great Lakes in North America. Thus we have another great mystery . . . what were these impossible unnatural rock formations, what force put them in massive circular patterns, why were they made and when did it happen? Our schools appear to still be filling the heads of American children with that age-old twisted story of the first thanksgiving when the Pilgrims in 1621 sat down with the Wampanoag Confederation of natives to share in the fruits of their first year of harvest. That part of the story is true. But it is surrounded by a larger history of barbaric brutality and native reprisals that marked a dark and carefully covered-over part of the history of the American settlements. While the Puritans sought religious freedom when they arrived in the New World, it wasn’t freedom from persecution in Europe as history books have been teaching. There was a time not that long ago when Port Royal, Jamaica was among the largest cities in the “New World,” a hub for pirates, prostitutes and crime, an important seaport for commerce and a major port for the Royal British Navy. Founded by the Spanish in 1518, the city fell into the hands of the British in a 1655 invasion of Jamaica. The English gave the town its name of Port Royal and erected five forts strategically placed to defend the harbor. By 1659 an estimated 200 houses plus various shops and warehouses were in place. By the time Port Royal was whacked by a 7.5 magnitude earthquake and tsunami in June, 1692, the city had grown to a population of about 6,500. At the time it was the capital of Jamaica. It has been well established that Columbus was not the first European to set foot on North America. Evidence in the rocks have made it clear that Leif Ericsson and his crew of Vikings sailed to Newfoundland and perhaps portions of New England an estimated 500 years earlier. We have written about other markings in the rocks in Michigan, rocks with perfectly cut holes like the kind used as anchors by Mongolian and Chinese sailors for thousands of years found off the coast of California, and a strange similarity of customs and language of both Native American tribes and Mongolian people. Both the North and South American continents were already inhabited when Columbus arrived. Large cities filled with well-developed cultures existed, or their ruins were found throughout much of Latin and South America, and one large city known as Cahokia existed along the Mississippi River near the place where St. Louis, Missouri now stands. It was once a thriving city of about 30,000 people. Of all the great and ancient architectural projects of the world, we like to think of the pyramids. They exist all over the world and most prominently in Egypt and Central America. But there is another strange and equally as mysterious monument, also found in Egypt as well as many other parts of the globe. That is the obelisk. What is so amazing about the ancient obelisks found in Egypt, throughout the old Roman Empire and even the Americas is that they are cut from solid rock, they stand from 40 to 100 feet in height, and they weigh several tons. The mere task of cutting, moving and then raising them involved an incredible feat of engineering. Readers of this website know that we have long been fascinated by the theories of such writers as Erich von Daniken, Zecharia Sitchin, Barbara Hand Clow and others who suggest that the sudden appearance of Homo sapiens in ancient times was the result of DNA manipulation by visiting life forms from other worlds. 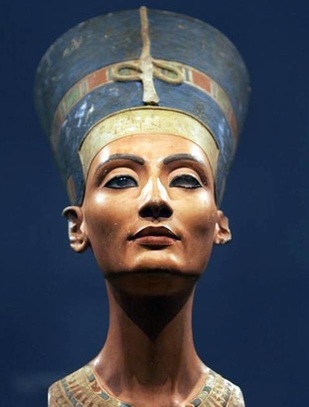 Now a new genetic study conducted by a team of researchers led by Stuart Fleischmann, Assistant Professor of Comparative Genomics at Swiss University in Cairo have published the results of a seven-year study that appears to link alien DNA to the genomes of nine ancient Egyptian Pharaohs. 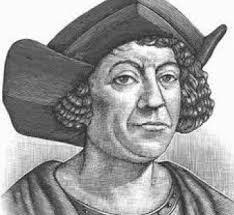 What Is The Real Columbus Story? The discovery of the North and South American continents by Europeans occurred no more than 600 years ago but the record of just exactly what happened, and who did what is deeply shrouded in faded national and international propaganda. A couple of Italians seem to have helped in creating the maze. 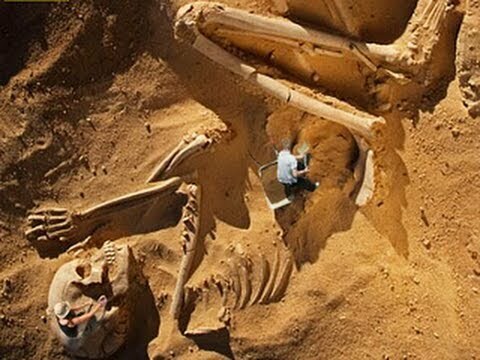 What Happened To The Bones Of The Giants? When Michael A. Cremon published his controversial books “Forbidden Archaeology” and Forbidden Archaeology’s Impact” in 1993 and 1998, he undoubtedly came under attack from organized fundamental religious groups. That’s because Cremon accused museums and departments of archaeology at major universities of hiding fossilized artifacts that challenged the Biblical record of human and world history. A recent controversial report circling the web is now saying that a U.S. Supreme Court ruling has proved Cremos right in his accusations. The story, which many say is a hoax, claims the ruling forced the Smithsonian Institution to release “classified papers” dating back at least a century that proves the institution was involved in a major historical cover-up of evidence that disputed the Biblical account. What is the truth? Most Americans don’t know the name Albert Pike. Yet this Nineteenth Century prodigy, who lived from 1809 to 1891, has probably had more of an impact on our contemporary way of life than anyone who has ever lived. Pike was a general in the Confederate army during the American Civil War. 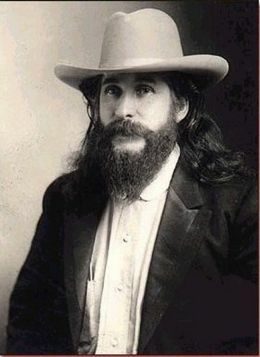 He was a lawyer, writer, newspaper publisher, member of the Scottish rite of the Freemasons, founder of the Ku Klux Klan and a follower of the occult Luciferian Cabbalism believed linked to the Rothschild-controlled European banking system that some say is known as the Illuminati. If the story is true, it was between 1859 and 1871 that he worked out the details of a military blue-print for three world wars to occur during the Twentieth Century. It is all designed to force us into a one-world government. This story is disputed by some historians who have called it a hoax. 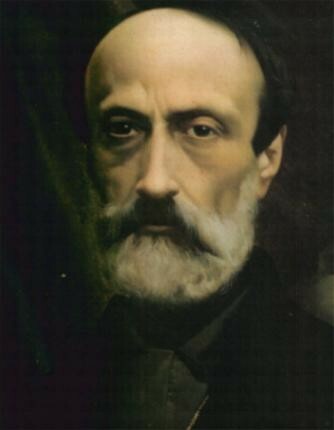 The son of a university professor, Guiseppi Mazzini was a genius who entered university study at the age of 14 and graduated with a law degree. He worked as a poor man's lawyer but at the same time pursued a career in journalism and took an interest in politics. The link with Adam Weishaupt was a simple one. Mazzini's father was a member of Weishaupt's Illuminati and was active in the organization's movement that led to the French Revolution. Conspiracy theorists have long talked about the existence of a secret order called the Illuminati that may, or may not be the shadow government that manipulates the workings of world governments. Yet other people of renown have publicly pooh-pooed the idea that such an organization exists. The historical record shows, however, that a Bavarian philosopher named Adam Weishaupt founded the Order of the Illuminati in 1776. It was a secret society then and we think we know where it hides today. 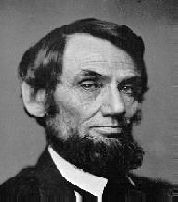 Lincoln’s Emancipation Proclamation, declaring war on the Southern States over the issue of slavery, indirectly brought about the Thirteenth Constitutional Amendment prohibiting slavery. But that was never Lincoln’s intention. From public records and copies of Lincoln’s speeches, it is clear that he was a believer in white supremacy and that he never intended to prohibit slavery. But the issue of state’s rights to allow or prohibit slavery became such a heated issue, Lincoln was forced to use it as a reason behind the war against the rebel states that were attempting to succeed from the Union. Did The Montauk Experiment Almost Destroy The World? Duncan Cameron, one of the alleged survivors of the ill-fated “invisibility” test of the USS Eldridge, in what has been known as the Philadelphia Experiment, was subjected to a lengthy interview concerning his involvement with this and other events that went on at Montauk, New York, in the 1940s. One brief portion of the interview, which has appeared in a few Internet publications, suggests that the Eldridge disappeared because it was projected through “hyperspace” to the year 1983, and that extreme measures had to be taken to make sure the equipment on board didn’t throw the entire world into a destructive time warp. Early in my career as a journalist I had the privilege to work for a most remarkable managing editor that had a lot to do with preparing me for all of the pitfalls that journalism has faced in these, the declining years of the free American system. Bert Lindenfeld, a former World War II submarine commander, ran his newspaper office in Benton Harbor, Michigan, with the iron fist that one might expect from such a man. There was no democracy there. Lindenfeld was a wise man however; he knew how to bring out the best in his writers. He devoted his time training us to be as good as he expected us to be. One day he taught me the difference between a Republic and a Democracy, and why America was on a dangerous path in the wrong direction. I don't spend time watching television anymore, but a few years ago, when Nova’s archaeological mystery story "Lost King of the Maya" aired on Public Broadcasting I found myself glued to the set. The story was about a mysterious Mayan ruler named Yax K’uk Mo, who came out of the jungle from some unknown origin and founded a dynasty of 16 rulers, lasting 400 years at Copan, Honduras. While they are included among the great world mysteries, I have refrained from writing about the large round stone balls discovered in the jungles of Costa Rica. That is largely because there is nothing further known about the balls except that they exist . . . an estimated 300 of them. The stone balls are almost perfectly round in shape and in different sizes, some weighing up to 15 tons. They are estimated to be hundreds if not thousands of years old. There is no native mythology to explain their origin. When driving I-70 across Utah you pass first the Salt Flats, a massive expanse of flat barren white landscape that stretches as far as the eye can see. Then you pass the Great Salt Lake which also appears to be a dead and decaying sea. You may choose to roll the vehicle windows up even in the heat of the day because of the noxious stench. If you are driving east, you must pass this hellish place before reaching Salt Lake City. It awaits you if you are going the other way. There are strange stories to be told about this place. 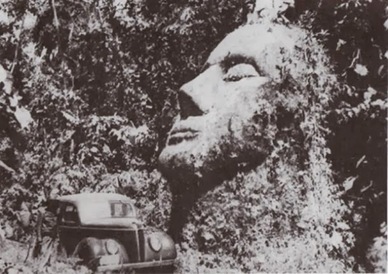 It was sometime around 1950 that a landowner in the jungles of Guatemala discovered a gigantic carved stone head on his property and took a picture of it. The photograph eventually found its way to the office of Dr. Oscar Rafael Padilla Lara, a philosopher and lawyer, who published it with a short article in a newsletter that got into the hands of famed explorer and writer David Childress. Find out why Childress and other researchers got excited about it. Michael A. Cremos books, "Forbidden Archaeology" and "Forbidden Archaeology's Impact," published in 1993 and 1998, respectively, have had a quiet impact on the pre-programmed folks who dared to read them and consider their message. Cremo believes many museums and departments of archaeology at major Universities, have been hiding fossilized artifacts that tend to challenge the accepted views of history. The bones of giant humanoids have been found all over the Earth. I am fascinated by the so-called anomalies that keep turning up in the earth and rock of this ancient planet. Discoveries like a porcelain coated metallic object (spark plug? ), a manufactured wire chain, a common nail, iron tools and concrete pillars and blocks, found deep in the earth or the bottom of the ocean . . . places where they should not be . . . give me an eerie feeling that the human race has been down this path more than once. It's as if we are being recycled and forced to live our existence over and over again until we get it right. 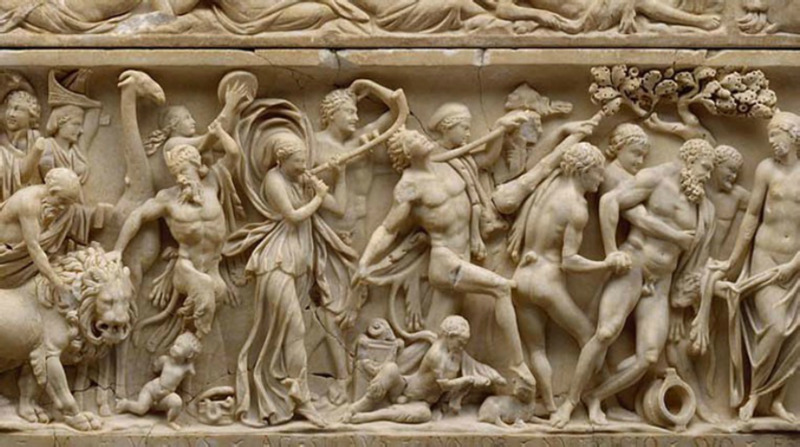 Were Greek Mythological Heroes Real People? Archaeologists have been uncovering more and more evidence that gives credence to the ancient Greek stories long thought to be pure myths. This is because the heroes in the stories, Heracles, Zeus, Perseus, Achilles, Patroclus, Helen of Troy and Paris, the legendary prince of Troy, were all such incredible personalities. It was in 1992 that Wu Anai, a resident of the village of Longyou, on the outskirts of Shanghai, got his neighbors to pool their money to buy a water pump and siphon out a strange "bottomless pit" in their town just to find out what was in it. After 17 days of pumping, the men realized that they were exposing a water-filled man-made cavern filled with carved stelae. The more water they pumped the larger the cavern turned out to be. What they found has mystified archaeologists, geologists, architects and engineers from all over the world. 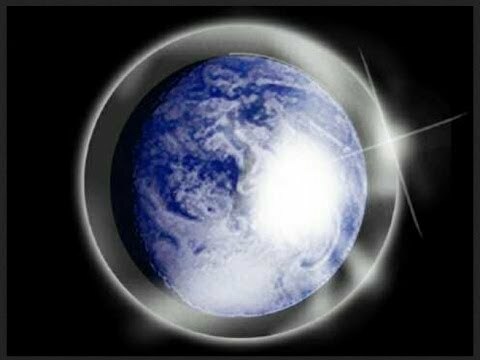 That the militant Islamic fundamental organization seeks to stir a final world conflict and thus force the return of Jesus in the clouds appears to be the goal. There seems to be no other rational reasoning behind the malicious actions of the hooded members of this deadly organization. Not only are these goons capturing and murdering innocent civilians of various religious faiths, proclaiming them "infidels," but now they are alarming historians and archaeologists by bulldozing ancient ruins of once great cities that once comprised the heart of ancient civilization. The destruction of the remains of the City of Nimrud is significant. Much has been written about Nimrod although what we know is mostly drawn from few verses in the ancient and twisted Book of Genesis. A great grandson of Noah, Nimrod was the son of Cush, who in turn was the firstborn son of Ham. From Genesis 10:8-11: "And Cush begat Nimrod: he began to be a mighty one in the earth. He was a mighty hunter before the Lord." The written human history that exists has been proven through archaeology and mere deduction to be so distorted and religiously and politically twisted that we lack a true understanding of our past. 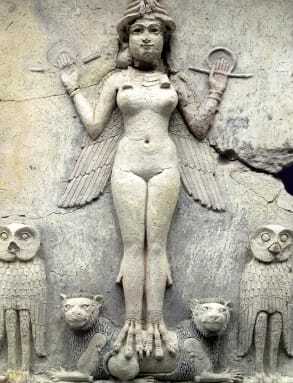 There is strong evidence, however, that there was an earlier eon that existed even before the great Mesopotamian Empire when women ruled the earth. It was a long period of peace and tranquility, remembered genetically as Eden in the Christian and Hebrew Old Testament, and the Golden Age among other world cultures. Did The World Flood Or Was It Something Else? Recent discoveries of sunken ruins of ancient cities in three locations around the planet give growing support to the world-wide myth that a catastrophic flood once destroyed ancient civilizations. The reports from the Book of Genesis to Plato's famous tale of the lost continent of Atlantis, are part of a broad list of stories passed down for thousands of years that suggest a deluge of Biblical proportions really happened. But what is the real story? ​We read with interest a report that a team of scientists at the Santa Fe Institute in New Mexico is attempting to reconstruct the "mother of all languages," believing that the various languages of the world originated from a common source. The Evolution of Human Languages project, headed by Nobel Laureate physicist Murray Gell-Mann, is an international effort to collect an etymological database of all of the world's languages. From there, linguists are attempting to reconstruct and compare ancestor languages in an attempt to go all the way back to an original language from where it all began. Some scientists have already criticized the project saying that historical language cannot be studied beyond an 8000-year threshold. That is because language is in a constant state of change. This is not a story about George Washington. This is about another man involved in framing the U. S. Constitution, bringing about the Bill of Rights, and influencing the way our nation operates today. His name was George Mason, someone few of us have ever heard of and rarely, if ever, mentioned in American history books. Mason played a key role in framing our government and if more convention members had listened to him, we might not be in the pickle we face today. 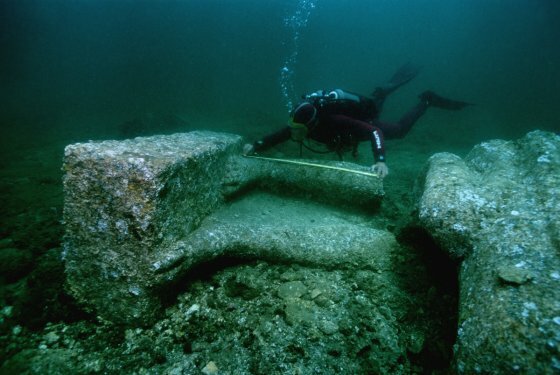 Among the many ancient underwater ruins in the world are the former seaport towns of Aperlae, Dolchiste and Teimioussa, one part of a complex of communities linked to the old villages of Kalekov, Ucagiz and Simena, Turkey, on the Mediterranean Island of Kekova. The island is about 100 square miles in size and lies just off the coast of Turkey. In the Fifth Century, Kekova was the primary seaport for the the kingdom of Lycia, which prospered during the Bronze Age. As cataclysmic events occur, a Hopi legend says a long-lost white brother is expected to return with important information to save the people. The Hopi legend is part of a worldwide myth linking brothers. The stories frequently involve twins. Such stories can be found in nearly every ancient culture. They are nearly as common as stories of a world flood, and a belief in a divinity. The significance of the twins in these stories is an important clue as to our origins. It also may be a reminder that we gave ourselves about what we were supposed to become. Did The Mythological Continent of Mu Really Exist? The stories persist among aboriginal tribes throughout the islands of the Pacific and along the Pacific Rim. The people appear to have a subconscious memory of a great civilization that once existed on a large island continent which, like Atlantis, disappeared under the sea. They call it Mu. So Who Built The Sphinx And Why? The Great Sphinx of Giza is among the largest, and believed to be the oldest single-stone statues on the planet. Because it is within close proximity to the Great Pyramids of Giza, historians have long believed the Sphinx was built at about the same time, about 4,500 years ago, and is Egyptian art. But contemporary research gives evidence that it may be much older than even the pyramids. The controversy going on in Texas involving the twisted adulterating of school textbooks by extreme right-wing conservative and Christian thinking members of the State Board of Education is a shining example of the distortion of world history. School and college textbooks, many of which are published in Texas, are laced with the political propaganda generated by the boards of directors that control the information that goes into the books used to instruct our children. Unfortunately this behavior has been affecting human recorded history for thousands of years. What we think we know about the past is probably an elaborate fabrication. A popular tourist attraction in China is Qiandao Lake, a man-made lake formed after completion of a 1,531-foot-wide Dam on the Xin’an River at Zhejiang. The lake is nestled within a lush forest and offers literally thousands of exotic islands. At the time the Xin’an Dam was constructed in 1959, it was part of a massive new hydroelectric system and towering at 344 feet, was considered the tallest dam to have ever been built in China. Hidden 130 feet under Qiandao Lake rests Shi Cheng, the Chinese name for Lion City. It is an ancient city full of temples, memorial arches, paved roads and houses that they say stand frozen in time since the day they were submerged as the lake filled.